Hong Ying (Frank) Soo was born in Buxton on 8th March, 1914. A talented footballer he played for Prescot Cables before joining Stoke City in 1933. A midfielder, he scored 6 goals in 176 games over the next six seasons. Frank Soo was one of the first non-white footballers to play in Britain before the Second World War. 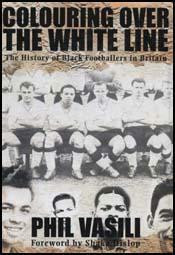 Others in this category included Arthur Wharton, Hassan Hegazi, Walter Tull, Alfred Charles and Salim Bachi Khan. During the Second World War Frank Soo played in 9 unofficial international games for England. After the war he was briefly with Leicester City before joining Luton Town. Over the next couple of years he scored 4 goals in 71 league games. Hong Ying (Frank) Soo died in 1991. Frank Soo made his name with Stoke City and then went to Luton Town... Everything he did was hall-marked, however, and he seemed incapable of a clumsy movement.